After returning from Serbia and having a short stay in England I am now traveling to Brazil after being invited by Brazilian first division club São Caetano Futsal. I will be there for approximately one month and during this period I will train with the team and travel alongside them for their matches. 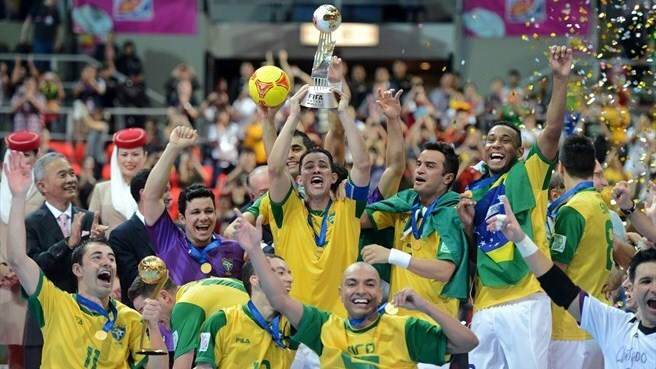 Brazil is regarded as the home of futsal. Since they started playing the sport in the 1940s the sport has become well established. The national team has won five of the seven FIFA Futsal World Cups and they are the current world champions after defeating Spain in the final of the 2012 edition. They are the leading nation in the world for producing players; Brazilians can be found in every professional league in the world and, due to the process of naturalisation, in many national teams. Futsal is very well known in the country and the fans possess more passion for the sport than anywhere else in the world. It is both very popular to play and to watch. Over the last decade Brazilian player Falcao has become a national icon that has transcended the sport. The main reason for my visit is to train with one of Brazil’s best teams. I always want to test myself against the top players in the world and this will provide me with a great chance to do that. 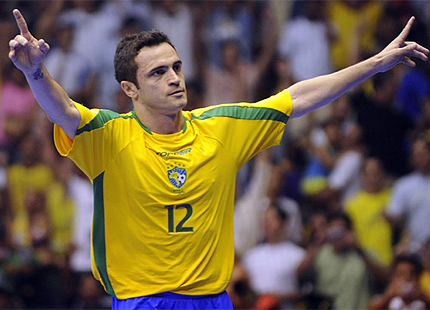 I watch quite a bit of Brazilian futsal and it is very fast and direct; it will be great to experience it first hand. My time there will also give me an opportunity to observe the futsal culture and environment in Brazil. It will be very interesting to compare the conditions to those I have experienced through playing professionally abroad and playing for the England national team. I am especially intrigued to see how Brazilian futsal compares to that of the Spanish, where I played previously. Together these two nations have dominated the international championships, yet achieving this with different styles of play. I don’t just want to understand the professional level but also what they are doing with youth development. I hope to become more informed about what the reasons are for their success in producing so many exceptional players. Finally Brazil is well known for it’s cultural diversity, food and joyful way of life and these are other aspects I hope to discover. Hopefully the little Portuguese I know alongside my Spanish will be enough for me to get by. If you are interested in my trip then follow me on Twitter where I will be posting regular updates. On my return I will write an article about what I got up to and what I learned. Great Stuff! I look forward to hearing about the Futsal culture of Brazil. I have heard of the outdoor courts and pick up games that are part of the soccer lifestyle there. In the US Basketball occupies a similar position…maybe here in the US we should be looking to Brazil and the way they approach futsal instead of more acadamies and clubs.